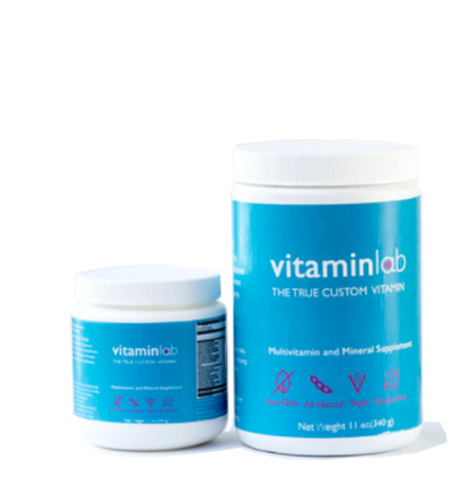 NutraHacker has partnered with VitaminLab, a leader excelling in personalized supplementation, to create your all-in-one personalized supplement from top quality-sourced ingredients. How do I use NutraHacker with VitaminLab? What are the directions for VitaminLab? Just simply follow directions on your label. For capsules, follow the suggested daily capsule dose. With the powder, measure the dose (it comes with a measuring scoop) for your particular formula and mix in water. Is VitaminLab a subscription service? Can I cancel it at anytime? Is VitaminLab a capsule, powder or liquid? How many months do I get of VitaminLab? Can I update my formula? The formulas are sent as a 3-month supply (and billed monthly) to provide you the most cost-effective option while giving enough time for the supplements to work.Any updates to our analysis will be automatically applied to the next shipment of your supplement. Where are the formulas made? Where is VitaminLab located? The formulas are made in a FDA licensed facility in Canada, and VitaminLab is located in British Columbia, Canada.